LIMITED TIME ONLY! WHEN YOU SPEND $4,000 OR MORE! Are you in the market for new blinds, curtains or shutters but also need a holiday? We have an offer for you. 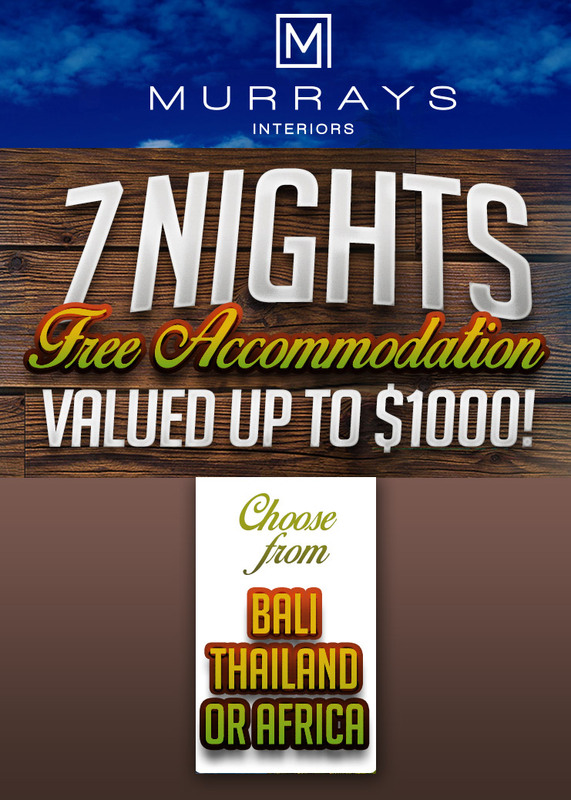 For a limited time only spend $4000 or more and receive 7 nights free accommodation for 2 people in either Bali, Thailand or Africa. Secure your destination from one of our 4 options and lock in your travel dates, book your flights (not included in the offer, sorry), confirm the booking and off you go. The offer is fully transferable, so if you don’t want to use the voucher, give it to a family member or friend (must be over 25). The voucher is issued upon receipt of your deposit. The sooner you book the more chance you have of getting your preferred destination and dates. Get in early as once the vouchers are gone the offer will be removed.